Savera School is an organization dedicated in the field of education of under-privileged children, which is being run by the students of Deenbandhu University,Murthal after their college hours. This school has been running since 9 years where we teach kids from 4pm to 6pm and more than 100 students had get benefited from it. Now we have 250 students enrolled in an average and are getting benefits of education. We help kids in preparing Jawahar Navodya Vidyalaya Exam, Section 134 A Exam and also we have some sponsored kids that are enrolled in top schools of Sonepat. We also have started a batch of JEE-Mains for better higher education of students. We are raising funds for running our school in a better way. In our school where we teach the underprivileged children, we identified some kids with excellent minds and who deserves to get a better education and should study in a private school rather than in government school. We asked their parents to pay only the half fees and the other half would be paid by us and they agreed to that. Now two students named Varun (5th) and Atul (4th) got admission in Saraswati Sr. Sec. 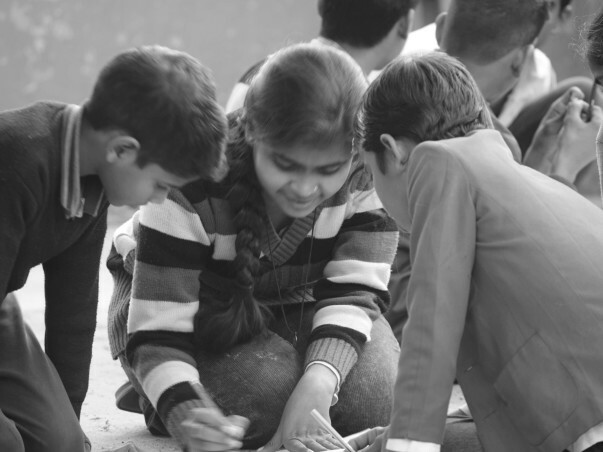 School, Murthal.